I am a lifelong New York Jet fan so I must admit that my feelings towards Joe Klecko are colored by my allegiance and fan-dom. 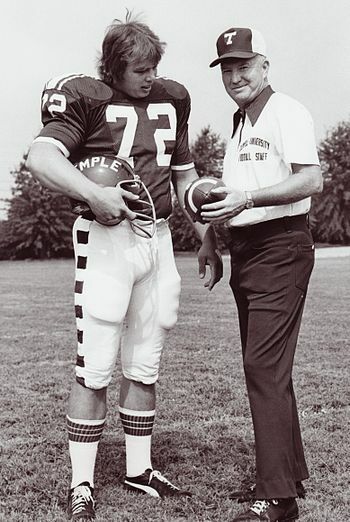 That said, #73 was undoubtedly one of the greatest, if not the greatest defensive lineman of his era. Joe Kleck was THAT good. I have been a season ticket holder since Klecko’s second year with the JETS and I watched his play from the stands for many years. I was always amazed at the tenacity and fierce aggression he showed at all times. This is the ONLY man to make the Pro Bowl at three different DEFENSIVE positions. 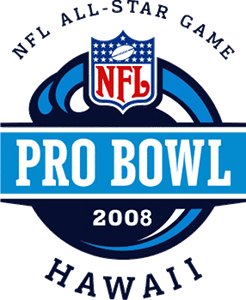 (Frank Gifford is the only other person to make the Pro Bowl from three positions) That is a pretty incredible accomplishment. He basically created the nose tackle position and had an astounding 7.5 sacks in his first year manning that spot. There were instances when he was injured and yet he managed to make play after play to lead the Jet defense. I remember a game in the old GIANTS Stadium when Klecko cut his hand on the helmet of one of the defensive players…I think it was safety Darroll Ray. There was blood all over the carpet and all over Klecko’s uniform. He ran off the field and into the locker room and moments later Klecko reappeared with his hand in a wrap and continued to play and play very well. We later found out that the cut was pretty bad and that Klecko had multiple stitches before returning to the game. 24 sacks ( this stat was not an official statistic in the beginning of Joe’s career) He had numerous seasons with many sacks and many game changing plays. He had 9 fumble recoveries. He was the NEA NFL Defensive Player of the Year in 1981. That year as a member of the “SACK EXCHANGE”, he lead the league in sacks with 20.5. He was the PFWA Defensive Player of the Year in 1981. He was named the AFC Defensive Player of the Year in 1981. Joe was elected to the Pro Bowl in 1981, 1983, 1984 and 1985. He was named All Pro in 1981 and 1985. The JETS retired his number 73 and placed his name in the RING OF HONOR at the Stadium. Joe Klecko was a warrior and a leader. In my opinion he belongs in the Football Hall of Fame. I am keeping my comments about the Jets to myself, mostly because I have nothing nice to say about Rex Ryan or Michael Vick. However, this being Jets history — at a time when Ryan wasn’t around to manipulate the fans, and I wasn’t around, either, to know firsthand — I trust your judgment on this. Sounds like Klecko deserves to be in the HOF. You’re too funny! Joe was there a long time ago! And yes he definitely belongs in the HOF. More gardening stuff coming and I will get around to the story of my father / Wonderama.